GAUK monitoring software keeps track of auction events published by almost 1,500 auctioneers. The team manually visit each site and add the event, date, details and location to the calendar enabling you to keep track of whatever you’re looking for, whatever it is, whenever it happening. NEW: GAUK Motors. Search EVERY car at auction in the country. UK Car Auctioneers detail thousands of cars at auction every week. 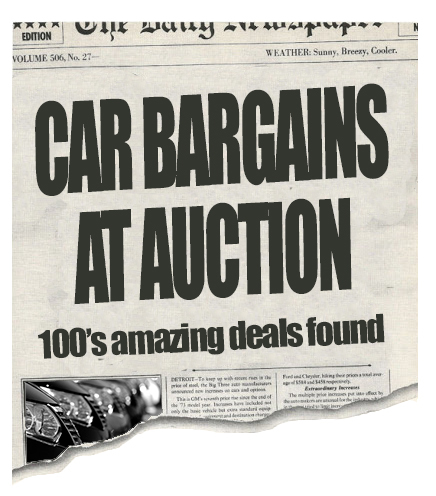 Put simply, GAUK Motors list more cars coming up at auction than any other website … by far! Our car auctions section is updated hourly. 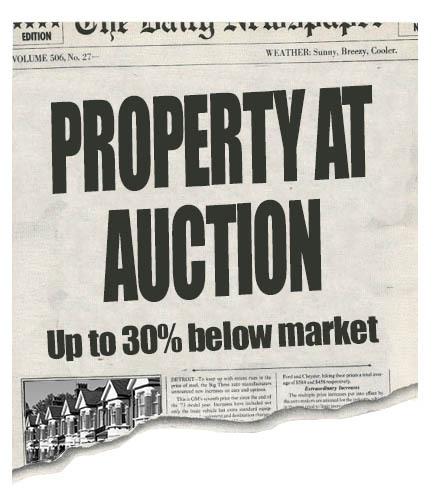 Buy Auction Property at 10%, 20% … Or More, BELOW Market Value! Sell on at 5% below market for a quick sale & PROFIT! Develop the property and make a killing. Rent it out for a secure, long-term investment. Keep it for a fantastic, cheap home! 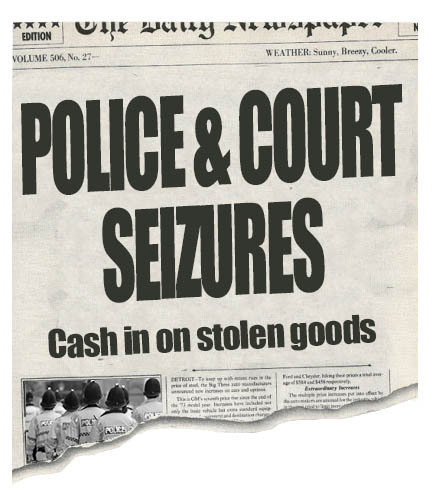 Government Auctions, Police Auctions & Court Seizures of confiscated, stolen & recovered, transport and utilities lost and found & unclaimed possessions handed in to the Authorities. GAUK update their listings of Police & Government Auctions across the UK daily. 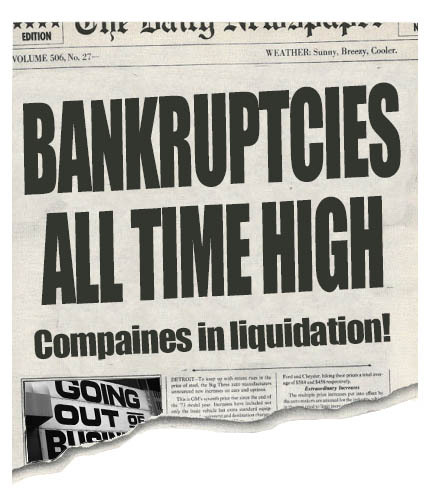 ‘One man’s loss is another’s gain’ … Search ALL Bankruptcy & Liquidation Disposals across the UK & Cash in! GAUK List bankruptcy and liquidation auctions across the entire country. Pick up a bargain! 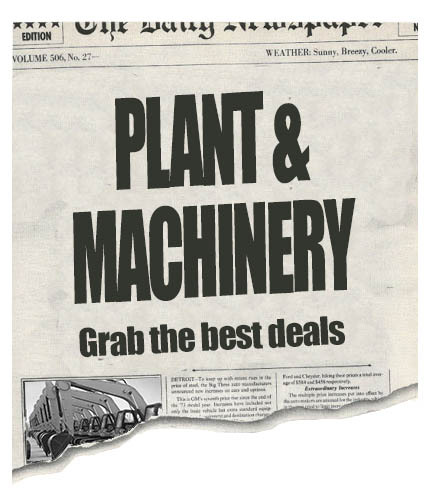 Looking for Plant, Machinery or Industrial Tools? Auctioneers sell a wide range of plant, machinery, commercial vehicles & industrial equipment on behalf of local businesses, finance houses, banks, private traders, main agents and the general public. Buy or Sell that Priceless Heirloom! ALL antique auctions & agencies across the country. 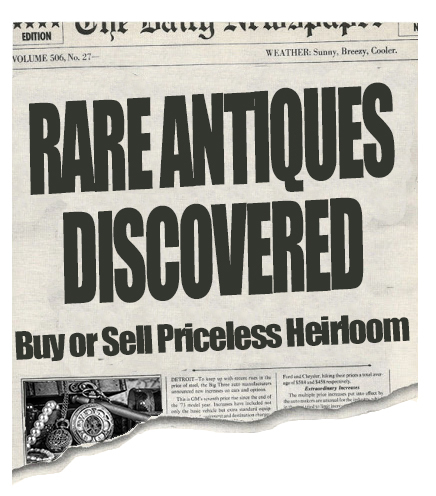 Daily antique sales of fine art, ephemera, jewellery, collectibles, books, maps & coins, pottery & glass … in fact, anything at all to do with antiques. 100% COVERAGE: GAUK Auction Search Engine covers the entire UK & Ireland including Southern Ireland. Buy cheaply at Auction for UP TO 80% BELOW RRP, keep your bargain or sell on straight away for a quick, juicy profit! Whatever You’re Looking For … Find it Cheaper at Auction! OK ... Let me at the deals! Looking For Motors At Auction? FIND YOUR PERFECT RIDE, START YOUR SEARCH NOW :: Cars at auction, motoring classifieds, vehicles from dealers … Hundreds of websites, hundreds of thousands of vehicles, vans, commercials, plant & machinery. Why spend frustrating hours scouring the net when GAUK Motors can do it for you in seconds? Our powerful, proprietary software automatically monitors hundreds of websites, aggregating hundreds of thousands of vehicles into a single, searchable application. Customise car feeds to display only what you’re looking for in My Garage … Simple!